13 Sep Radio conference presentations – for you! 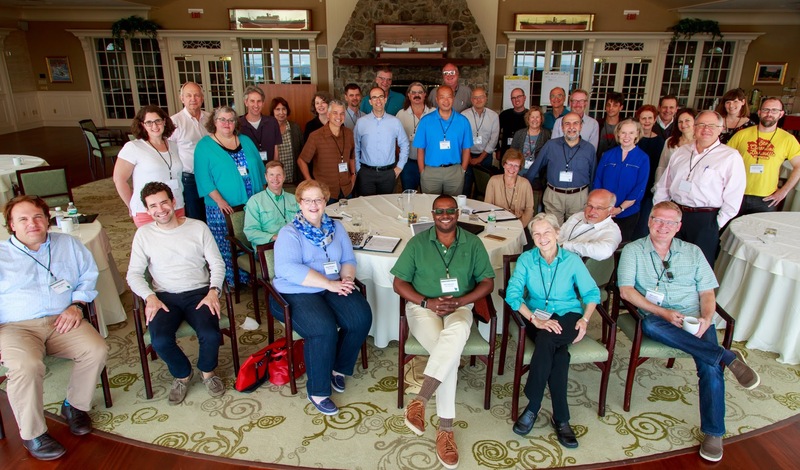 It was wonderful to see so many of you last month – first in Maine at Classical Music Rising’s retreat for station partners, and then in D.C. at the Public Radio Program Directors Association’s Content Conference. Overall, we had lots of great, spirited discussions, and there is palpable optimism for classical music public radio. Finally, in the coming weeks, and in time for the fall book (9/14 – 12/16), we encourage stations to implement Classical Spark – i.e. to dramatically increase the on-air promotion for your station, communicating clear station identification and benefits of listening. See recent features about Classical Spark in Current (“Classical stations seek to boost on-air listening with new on-air promo strategy”) and Inside Radio (“Public Radio Adds ‘Spark’ To Drive Classical Listening”). Public radio stations in Texas are contributing to the Hurricane Harvey relief efforts. Besides playing beautiful classical music, Austin’s KMFA reports that it is organizing a staff blood drive at a local blood bank, serving as a media sponsor for a benefit concert called Hope After Harvey, and, for its fall fund drive, will unlock an anonymous third-party matching gift to a Texas food bank provided it meets its goal of 1,000 donations. KMFA, along with Houston Public Media and Texas Public Radio, have put together web pages containing resources and ways to help out. Following nine years as President and CEO of All-Classical Portland (ACP) in Portland, Oregon, Jack Allen has stepped down from the station “to pursue personal projects.” One of the top performing classical stations in the U.S., ACP snared a 4.6 share in January, the highest by far for any classical station in recent memory. This past spring CMR had an exchange with Allen about the station’s success, which he attributed to “clearer mission, deeper, more exhilarating programming, more focused (potent) localism, fewer national brands, persistent micro-community engagement, new board and bylaws, completely refurbished brand (‘we love this music’ and ‘building cultural community’), jettisoning ‘public radio speak’ and the false incentive of ‘TY Gifts,’ new state-of-the-art facility; and the “wind in our sails,” a Jelly Helm Studio designed billboard campaign.” A recently released statement from ACR’s board salutes this track record. The board has appointed Suzanne Nance, VP of Programming, to serve as Interim CEO. The total solar eclipse on August 21 inspired a variety of celestial playlists among classical stations. Chicago’s WFMT published a Top 10 list that included the aria “Total Eclipse” from Handel’s Samson, Schoenberg’s Verklärte Nacht and Revueltas’s La noche de los Mayas.Nashville Public Radio’s picks included Terry Riley’s Sun Rings and Vaughan Williams’s Dark Pastoral. Over on WRTI in Philadelphia, there were sun- and moon-themed selections, including Nielsen’s Helios Overture and Debussy’s Clair de lune. If you missed this astronomical event, it’s not too early to start planning for the next one, which will blanket the East Coast in 2024. What are they doing at Classic FM that accounts for the huge increase of listeners in their 20s and 30s? One thing is great, sticky and sharable social media. Classic FM’s Facebook page has nearly 1.3 million likes. According to the UK’s Radio Joint Audience Research (RJAR), 5.8 million people listen to Classic FM each week, of which 1.2 million are under the age of 35. The station says it drew 418,000 new listeners in the second quarter of 2017, of which 231,000 are under 35. It credits the introduction of a new Saturday video game music series for the increase, though listenership grew for several other shows as well. As Classic FM marks its 25th anniversary this month (see Datebook, below), its pop-oriented approach has been widely imitated. Among those keeping tabs is BBC Radio 3, Classic FM’s closest competitor, which according to RJAR reaches about 2 million listeners a week. Where do you find classical music trivia and “on this day” items for programming tie-ins? Here are our offerings for September, contributed by radio producer and writer Brian Wise. On this day in 1992, Classic FM, the UK’s first national commercial classical radio station, was launched with Handel’s coronation anthem Zadok the Priest. The station’s innovative (and at times controversial) format been widely imitated, with its openness to playing short excerpts of pieces, taking listener requests, and featuring film and video-game scores. On this day in 1836, 26-year-old Frederic Chopin proposed to 17-year-old Maria Wodzińska, a daughter of his parents’ friends. She tentatively accepted, on the condition he take care of his health. But the match wasn’t to be and, following her father’s wishes, their relationship ended the following year. Chopin composed two pieces for Maria: the Grand Valse Brilliante (Op. 18) and, alas, the Farewell Waltz. In 1935, Arvo Pärt was born in Paide, Estonia. With his birthday coinciding with the anniversary of 9/11, radio programmers on this day have offered up his soothing, meditative scores like Fratres, Tabula Rasa and Spiegel im Spiegel. They find a natural place beside 9/11 tribute works by John Adams, Steve Reich and John Coriligano, among many others. On this day in 1910, Gustav Mahler’s Eighth Symphony received its premiere in Munich, conducted by the composer. An impresario added the nickname “Symphony of a Thousand” in an effort to boost ticket sales, despite Mahler’s disapproval. The performance must have made quite a sound with 858 singers and 171 instrumentalists, for a total of 1,029 performers! Antonin Dvorak, along with his wife and two of their six children, left Prague and set out for New York on this day in 1892. He’d been offered a plum job as director of the National Conservatory of New York. The composer’s stay in America coincided with grand celebrations marking the 400th anniversary of Columbus’s discovery of the new world. The next year Dvorak’s most famous work, the New World Symphony, received its world premiere at Carnegie Hall. On this day in 1693, at the age of 15, Antonio Vivaldi joined the clergy in Venice. By 1703 he was fully ordained and had acquired the nickname “il prete rosso,” (The Red-Haired Priest). There’s no evidence his priestly duties interfered with his dedication to the violin or the composition of more than than 500 concertos — bright, extroverted works that include his ever-popular Four Seasons. On this day in 1994, “The Shawshank Redemption,” starring Morgan Freeman and Tim Robbins, opened in U.S. theaters. Among its most memorable scenes is one in which Andy Dufresne (Robbins) defies Warden Sam Norton (Bob Gunton) by playing over the prison’s loudspeakers Mozart’s sublime duet “Sull’aria…che soave zeffiretto” from The Marriage of Figaro. Watch the scene on YouTube. 60 Minutes, the oldest news magazine program on television, debuted on this day in 1968. Over the decades, the show’s hosts have conducted probing interviews with Luciano Pavarotti, Maria Callas, Itzhak Perlman, Vladimir Horowitz and other star classical musicians. Reports on Venezuela’s El Sistema and the Metropolitan Opera under Peter Gelb’s leadership are among more recent segments. Dmitri Shostakovich was born on this day in 1906 in St. Petersburg. He began piano studies with his mother at age nine, and at 13 entered the Petrograd Conservatory. There, lacking political zeal, he failed his exam in Marxist methodology. Yet he went on to become a musical giant who walked one of history’s narrowest artistic tightropes: writing music that alluded to the horrors of Soviet repression, while also pleasing the authorities with its rousing spirit. West Side Story, the finger-snapping musical updating of Romeo & Juliet, opened 60 years ago today on Broadway. The creative team of Leonard Bernstein, Jerome Robbins and Arthur Laurents drew inspiration from real-life gang wars in NYC at the time – right in the ‘hood where Lincoln Center now stands. A new book, A Place for Us, looks at the musical’s social and historical context.